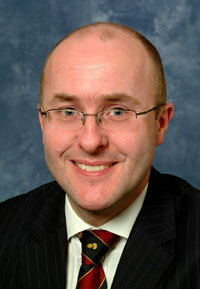 I am a Consultant Surgeon with a special interest in General, Colorectal and Laparoscopic surgery. My specific interests are the treatment of Inflammatory Bowel Disease, Ileal Pouch Surgery, Colorectal Cancer, Endoscopy, Reconstructive Pelvic Surgery, Gallbladder Removal, Hernia Repair and the newer operations for haemorrhoids including haemorhoidal ligation (Hemorpex). For many of the operations listed above I use the 'keyhole (laparoscopic) method' resulting in smaller scars, less pain and shorter stay in hospital. I run a large surgical practice at The West Middlesex University Hospital in West London. I also run a research unit at WMUH along with colleagues at Imperial College & Chelsea & Westminster Hospital. My principal research interests are in risk adjustment in surgery, patient outcomes, colorectal cancer and inflammatory bowel disease. The site is for the use of my patients and colleagues in order for them to see what services I offer, how to contact me and arrange an appointment, and to use some of the services provided on the website. Please feel free to look around the website. Most of the content by be accessed via the main section links on the left hand side of this page. If you can't find what you want in the main headings on the left then please use the site search facility and if you still can't find what you want or see any incorrect information then please contact me via the website. Mr Smith supports training courses provided by the Institute for Optimum Nutrition in Richmond, a small charitable organisation promoting health and nutrition.